Every workplace needs fresh milk – so we provide a regular office milk delivery service, in partnership with a local dairy. We make arranging your company’s milk delivery incredibly convenient and cost effective, and we can provide all types of milk as well as other related products, including bread and butter. If you find that stocking milk and other essentials for the office kitchen causes a headache or distraction from daily business, let us take care of it for you. 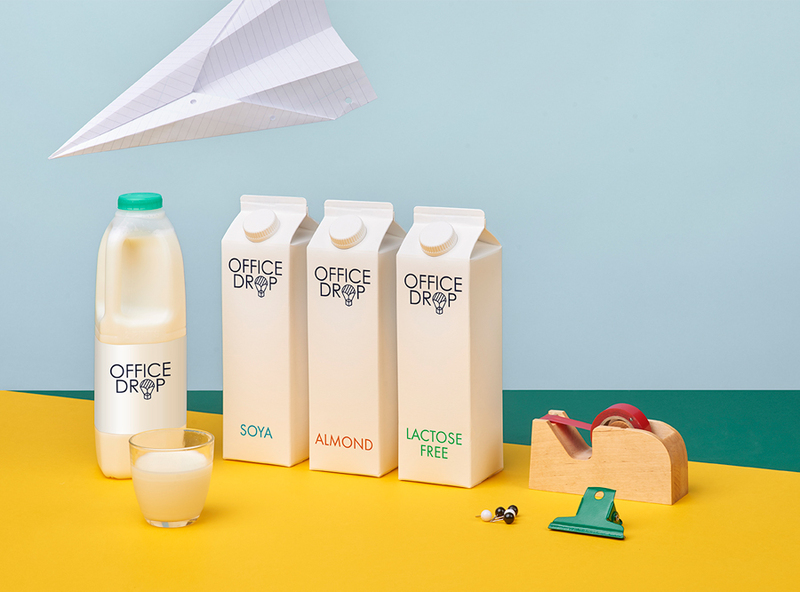 Our office milk delivery service is wonderfully flexible – there’s no contract, a low minimum order level, and it’s easy to cancel or suspend deliveries. You can even choose whether you order your milk in pints or litres! Officedrop’s monthly invoicing is designed to make your life easier as well: if your company has multiple locations, we will arrange separate or consolidated invoices, as you prefer. Maximum price: 55p/pint for regular skimmed, semi-skimmed and whole milk. Minimum order (subject to location): 20 pints/12 litres per week (order in pints or litres). Add other goods to your milk order, such as bread, butter, cheese and cream. No contract: cancel or suspend deliveries with just 48 hours notice. Once we understand your individual order requirements, we’ll quickly confirm pricing. Whether you just like a dash of milk in a hot drink, or regularly glug down a glass or two during the working day, it’s good to know that it’s a major source of dietary energy, high-quality protein and fat. In fact, milk can make a significant contribution to your dietary needs, meeting the required intakes of various nutrients including calcium, magnesium, selenium, riboflavin and vitamin B12. It’s well known that calcium is vital for healthy bones and teeth, and it can also be beneficial in reducing cardiovascular disease and the chances of stroke.